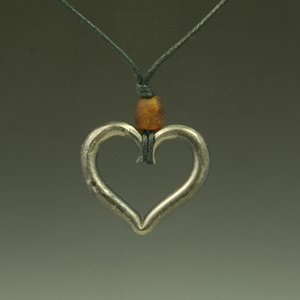 Necklace is made from forged steel on an adjustable black cotton cord. It can be worn long or as a choker. Assorted bead accents make this an eye catcher! Heart is approximately 1 1/2" wide.